This personalized 5pc. 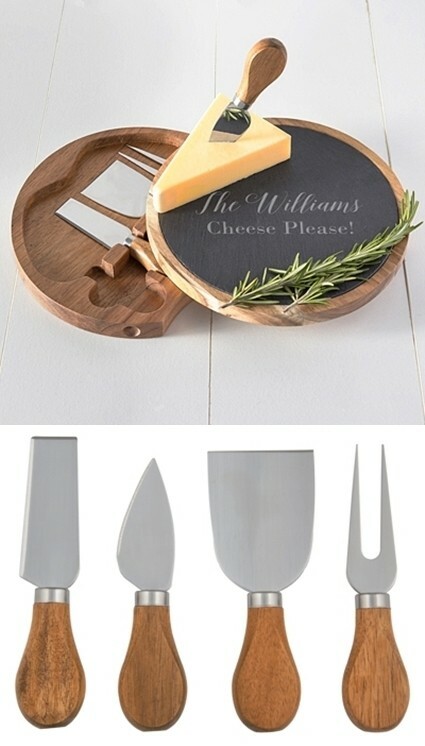 Acacia-wood and slate cheese board set features a swivel-style closure that opens to reveal four cheese utensils stored conveniently within, while the removable slate sheet adds a unique touch. Better yet, it the slate may be engraved with two custom text lines in the pictured fonts only. Hand wash only.